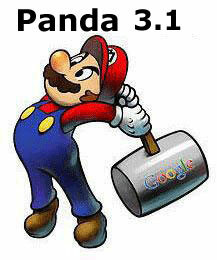 Friday afternoon, sometime after 4pm I believe, Google tweeted that they pushed out a "minor" Panda update effecting less than one-percent of all searches. That being said, we should have named it 3.0 - in fact, I spoke to someone at Google who felt the same. So I am going to name this one 3.1, although it does make it easier to reference these updates by dates. 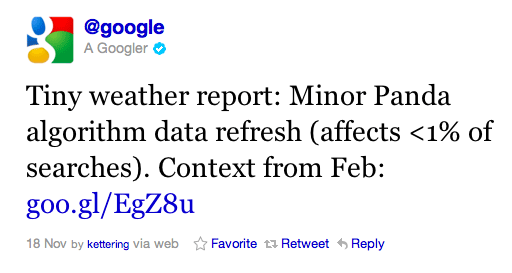 Previous story: Who Are Google Quality Raters?